Melody Lines is a mesmerising kinetic installation by leading Brisbane-based artist Ross Manning. 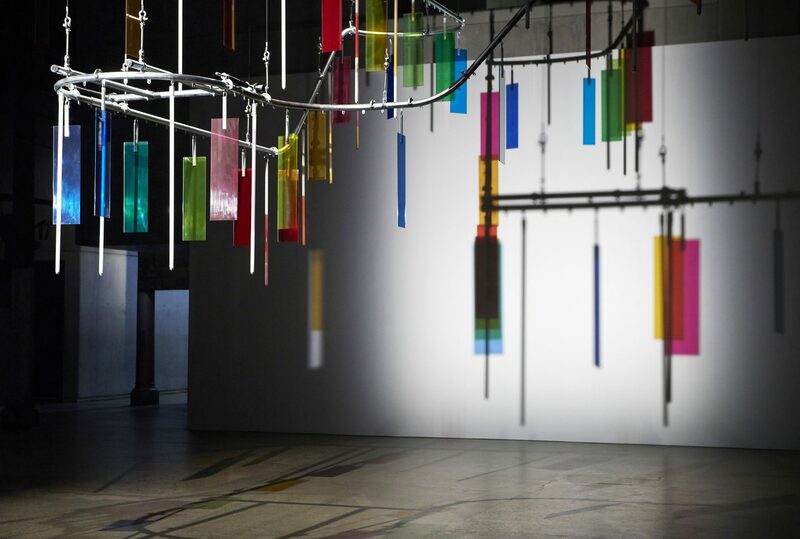 Utilising an intricate overhead conveyor system, Melody Lines weaves through Carriageworks’ public space like a multi-dimensional drawing, carrying a stream of objects that split and refract light into many-hued colours and spectra. Join Ross Manning on a sonic odyssey to farewell Melody Lines and close Liveworks Festival. Playing a variety of hand built percussive and electronic instruments, Manning will create a musical improvisation that will enliven, respond and harmonise with his dazzling light installation. Presented by Carriageworks and Performance Space.